If you want a once-in-a-lifetime family vacation that also gives you the chance to experience other cultures, see incredible wildlife and learn about the importance of conservation, look no further. 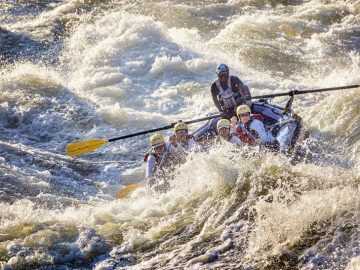 From wildlife safaris to action-packed multi-sport tours, your kids will talk about these unforgettable family adventures for years to come. The Galápagos archipelago is 600 miles off the coast of Ecuador and made up of more than 100 volcanic islands formed between 3 and 5 million years ago. 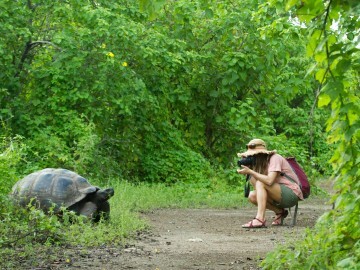 Because of its relative isolation and the lack of natural predators, the animals of the Galápagos have not yet learned to fear humans, so you may have gigantic marine iguanas and curious sea lions coming right up to you, making for some unique photo opps. 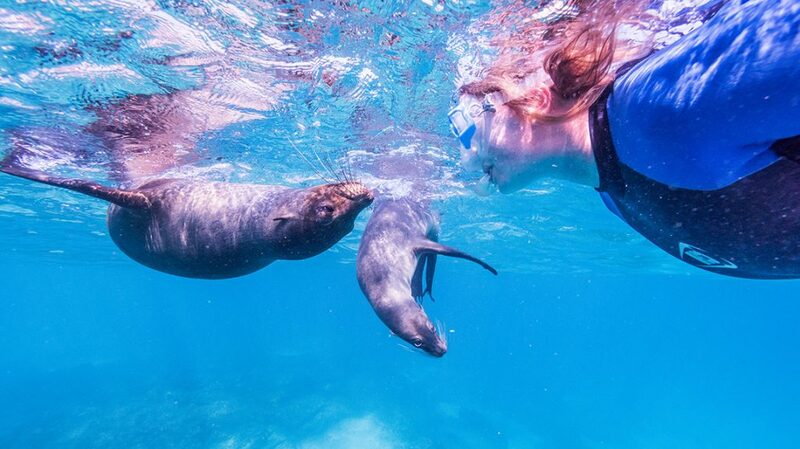 On a Galápagos multi-sport adventure you’ll spend your days sea kayaking alongside hammerhead sharks, snorkeling with playful penguins, and hiking past Blue-footed Boobies. By night, you’ll island hop to the next day’s adventure aboard a deluxe 90-foot yacht. Bonus: your kids will learn about the science of evolution without even realizing you took them on an educational trip. If your family loves hiking, trek the rugged, alpine trails of Iceland with Backroads. As you hike through the area’s spectacular emerald mountains each day, you’ll pass incredible sights like lava fields, ancient volcanoes, steaming fissures and massive waterfalls. 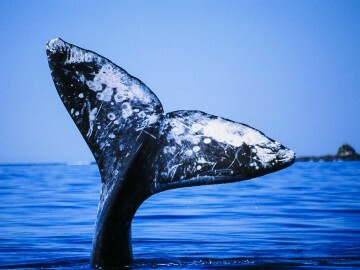 There’s also an opportunity to whale watch in one of the most famed whale watching spots in Europe. Of course, no trip to Iceland would be complete without a hot soak in a natural bath, which is why a visit to Jardbödin pool is the fitting finale to this adventurous trip. Did you know over 25 percent of Costa Rica is protected as national parks? In the colorful and well-preserved land of “Pura Vida,” you and the kids can work on spotting some of the more than 500,000 animal and insect species that are found here (sloths, crocodiles and massive butterflies the size of your hand are always a hit). 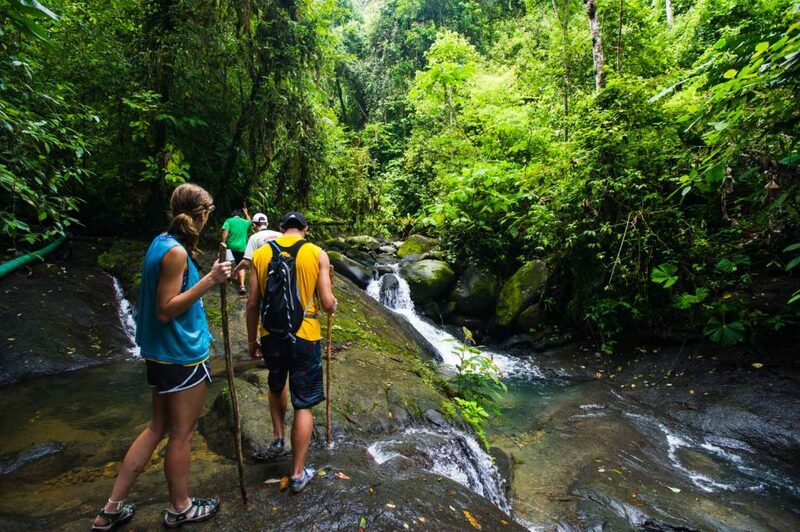 Add to that, rafting on the Pacuare River and soaring through lush jungle canopy on a zip line and you’ll have an adventurous experience in the rainforest that your family won’t stop talking about for years to come. While herds of elephants, wildebeests, and zebras are quite the sight to see, watching a leopard teach its cubs to hunt or seeing a lion up close and personal is something your kids will never forget. Learn about the jumping contests of the Maasai and feel like you went back to Jurassic Park times while overlooking Ngorongoro Crater. Nat Hab offers some of the most family-friendly safaris available (and their camp is as close to the crater floor as they come, giving you the best animal encounters possible). 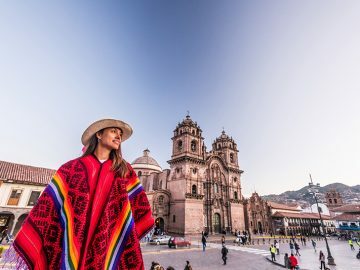 A trip to Peru’s Sacred Valley is so much more than getting the iconic shot of Machu Picchu. 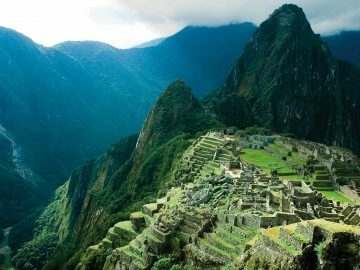 In addition to learning about the incredible archaeological remnants of the Inca civilization, on OARS’ Machu Picchu Explorer you’ll also raft the gorgeous Class III Urubamba River and zip-line through the jungle canopy. But one of the most memorable parts of this Peru trip is being able to connect with the local people. 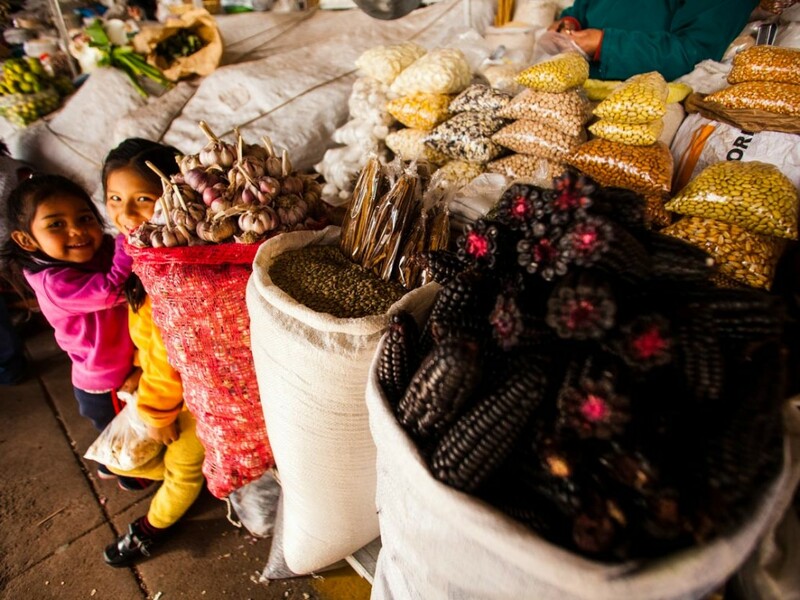 Quaint rural towns close to Macchu Picchu such as Ollantaytambo have beautiful markets where you’ll see local life firsthand and learn about the handcrafts, foods, and strong sense of community in the area. If you want to teach your kids what it’s like to feel in awe of nature, head to Alaska with Lindblad Expeditions to show them how majestic nature’s beauty can be. Watch a pack of wolves or foraging brown bears beneath 15,000-foot peaks, hike across an ancient glacier, and learn about the Eskimo and Aluet culture. You may be able to spot Grizzly or Black bears, moose, bald and golden eagles, and osprey, as well as sea otters, sea lions, orcas and humpback whales when you’re on the coast. Nobody knows New Zealand wildlife better than National Geographic Expeditions. When you explore the South Island with them, you’ll sea kayak into inlets and coves alongside dolphins and fur seals on the coast of Abel Tasman National Park, keeping an eye out for adorable little blue penguins. Then, you’ll head into the Franz Josef Glacier area by foot (or helicopter), where your child can learn history and geology from checking out the towering, millions-of-years-old limestone formation known as the Pancake Rocks. 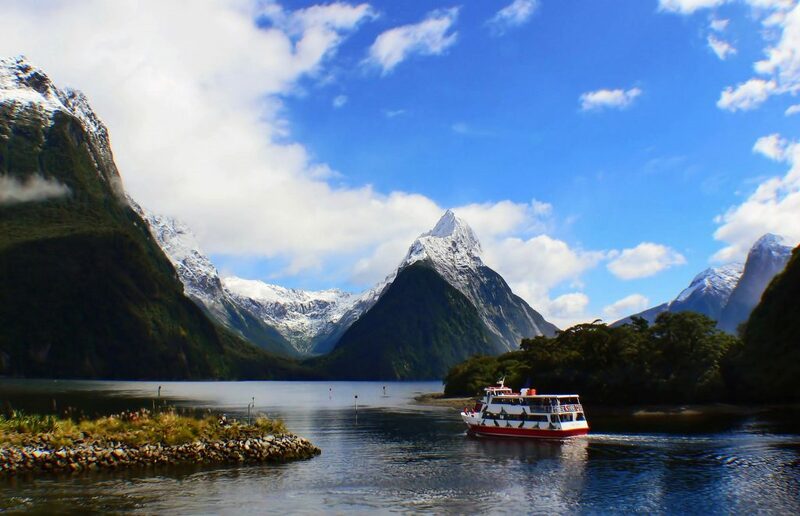 After all of the kayaking and hiking together, you’ll have the chance to slow down as you stargaze together on an overnight cruise in Milford Sound. Boating through the fjords of Norway with Hurtigruten Cruises means unforgettable moments that include dogsledding Kvaløya Island. Here you’ll have Instagrammable views of the ocean, snow-covered mountains, and possibly the Northern Lights before warming up by the fire in a Sámi lavvo, a traditional indigenous tent. More adventurous families can also go off-ship by RIB boat into the legendary Saltstraumen, the world’s most powerful tidal current. Later, explore Trondheim, the most bicycle-friendly city in Norway where you can cruise together across the city’s bike bridge to a medieval fortress island, Munkholmen. On your way back, try out the world’s only bicycle lift, called ‘Trampe’, which will effortlessly pull you up the steep hill of Brubakken. Maybe your go-to family vacation with the kids is camping in the mountains or rafting rivers – so why not mix it up on your next adventure with long, warm days paddling in balmy ocean waters, camping under the stars on the beach, and some unforgettable whale watching? 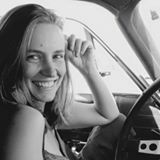 Easily accessible from anywhere in the U.S., friendly and laid-back Baja has been called the “Mexican Galápagos” because of its incredible diversity of wildlife. 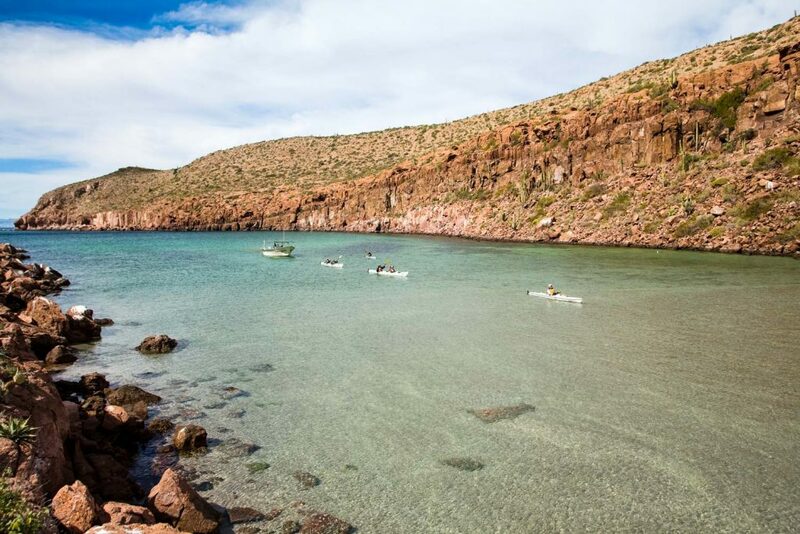 Take a few days to kayak the aqua blue waters of the Sea of Cortez with an outfitter as you watch for gray whales, dolphins, Manta Rays, sharks and sea turtles, as well as the magnificent Blue-footed Boobies. It’s about much more than wildlife in Thailand though. 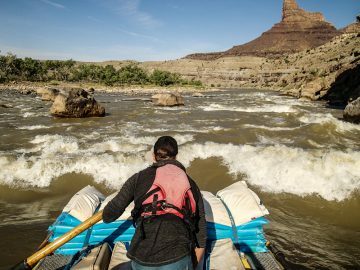 REI knows how to balance nature, culture and adventure in one great trip. On their Thailand voyage you’ll peddle through Ayutthaya’s temples at dusk, kayak the River Kwai, and hang out deep in the jungle at a luxury-tent camp. Adults will enjoy a Thai cooking class and kids can up their environmental awareness as they plant trees in partnership with Trees for Life. You’ll also learn more about traditional Thai culture on a homestay with a local family in a small village.